Mother’s day is Sunday, May 13. Have you ordered flowers for your mother yet? Did you know that you can earn bonus points and frequent flyer miles when you order flowers online? Purchase now with special offers from the convenience of your home. The two main frequent flyer programs that we participate in are Southwest RapidRewards and American Airlines AAdvantage programs. This mother’s day, consider giving a gift of Mother's Day flowers, and get rewarded for showing your love. 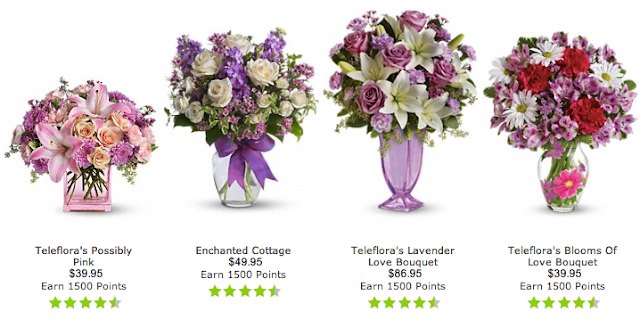 If you're looking to earn more Rapid Rewards miles, consider purchasing your flowers from Teleflora. Teleflora is having a current promotion where you can earn 1,500 Rapid Reward points on every order. Use promotion code: WNRREUB. Flower prices start at $29.99 and up and it doesn’t matter which bouquet you choose to earn the points. The deal is on right now and expires on 5/13/2012. If you haven’t signed up for Southwest Airlines Rapid Rewards program, go here. 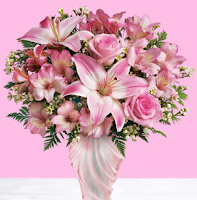 If you’re looking to earn AAdvantage miles, consider purchasing your flowers from FTD. FTD currently has special promotion where you can earn 30 AAdvantage miles per $1 spent at FTD. Also, if you are a Citi AAdvantage credit card member, you will earn an additional 100 AAdvantage bonus miles with each transaction. For example, a $50 bouquet at FTD will earn 1500 miles. You can sign up for the AAdvantage here. Either way you go, this is a great way to express your love for mom, and get some extra bonus miles on the side. Don’t forget, if you use your credit card to pay for the transaction, you get additional credit card reward points.